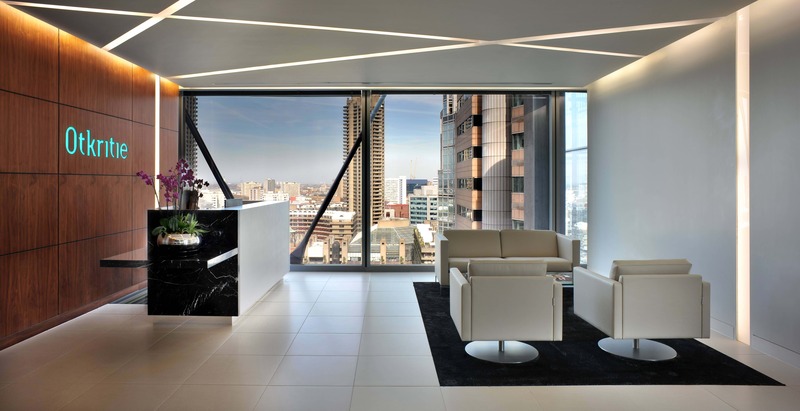 We were briefed to fit-out for these offices for Otkritie Securities Limited within the City of London. The stunning views over the City helped determine our design. 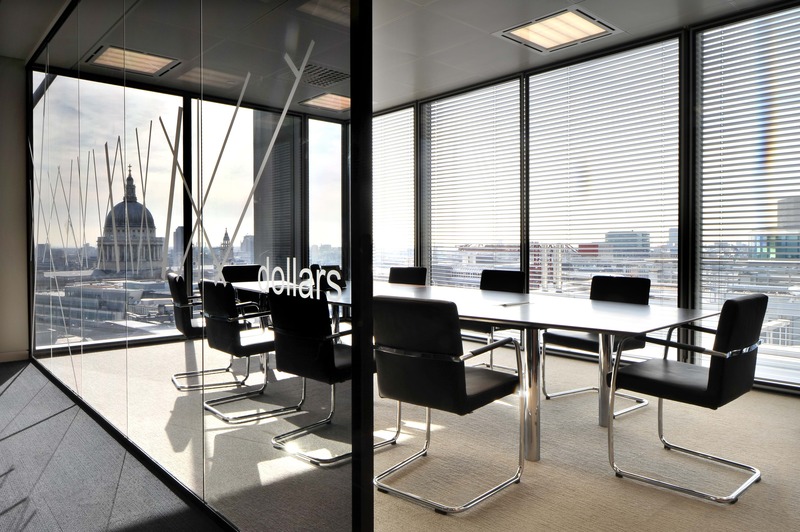 The reception and 12 person boardroom is located adjacent to the lift lobby and provides impressive views over the Barbican. Not to detract from this view, our minimal design for the reception uses clean, strong lines and muted colours. An outside terrace on the trading floor increases break-out and entertainment space and provides an illuminated dining and lounge area in the evenings. In reference to the diagonal architectural bracings visible from the reception, we used several diagonal seamless slot lights in the ceiling which run down the abutting walls.